October is Canada’s Healthy Workplace Month. It’s an annual celebration designed to increase awareness of a comprehensive approach to workplace health, help organizations create healthy workplaces and increase the number of healthy workplaces across the country. Workplace wellness programs give employees the tools they need to live healthy lives at work, at home and in their community. Just think of the impact Chatham-Kent employers can have on our community when over 45,000 people in CK are employed and we spend slightly less than 1/3 of our lives at work or thinking about work. That translates into 70-90,000 hours of our lifetime. As a result employers can play a significant role improving the health of their employees and reap many of the benefits. In general, successful workplace health programs can lead to improved productivity, better employee relations, fewer injuries, reduced WSIB claims and health benefits cost, improved corporate culture, and improved retention and recruitment. In celebration of Healthy Workplace Month and all of the local workplaces that have invested in employee wellness programs the Chatham-Kent Public Health Unit is hosting the 3rd Annual Workplace Wellness Recognition workshop on October 19th. 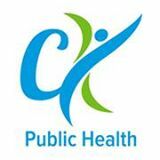 For further information on workplace wellness visit ckphu.com or contact the Health Unit at 519.352.7270 x2442. By: CKReview staff on October 16, 2017.